Putting a time frame to DNA Mutation Rates! Anybody who has taken a simple painless commercial ancestral YDNA test (which explores only your paternal ancestry) will potentially have matched many people with lots of different surnames and will have wondered when their shared male ancestor lived? 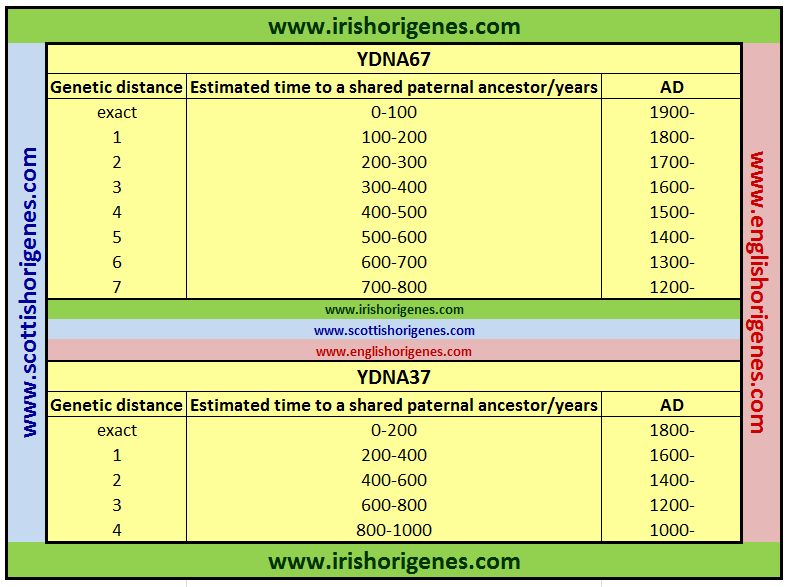 To aid in determining when one’s common male ancestor lived I have constructed a table that details the time to a shared male ancestor based on the 67 and 37 marker YDNA results (see attached table). The table is based on the results of a ‘closet-MacGregor;’ someone with the surname ‘Valentine’ but whose YDNA results revealed that his ancestor was originally called MacGregor. Mr Valentine’s ancestors can be traced back to Montrose in Northeast Scotland in the early 1700’s while his DNA reveals that he is a close genetic match to the current McGregor Chief (hence his ancestor was related to the Chiefly line of the MacGregors). Given his detailed family history, his ancestor had to have changed his surname to Valentine soon after the MacGregors were outlawed in 1604AD and hence using that time point and the genetic distance between him and the current Chief of the MacGregors one can estimate a time to a shared paternal ancestor based on the numbers of shared markers at the 67 and 37 marker level (see attached table). Click here to read the full Valentine Case Study. So how does this timeframe stand up to analysis? I have attached a snapshot of my own closest YDNA genetic matches at the 67 marker level. 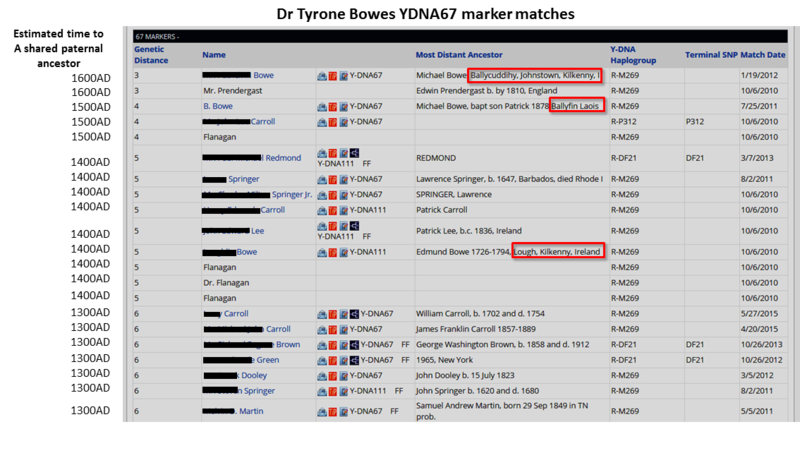 My surname is Bowes, and upon YDNA testing I match others called Bowe (or Bowes) in addition to others called Prendergast, Carroll, Redmond, Lee, Springer, Dooley and Flanagan. Some of those surname, particularly the Gaelic Irish surnames; Carroll, Dooley and Flanagan appear frequently as genetic matches. While the Norman surnames Prendergast and Redmond are typically singular matches. Those singular genetic matches reflect non-paternal events like adoptions that have occurred between the Gaelic Irish and Norman neighbours. Using my timeframe (left hand side attached DNA results image) my earliest shared paternal ancestor is with another Bowe and he lived an estimated 400 years ago. My closest Bowe genetic match is 1 of 2 Bowe’s who record earliest paternal ancestors within County Kilkenny, while another records an earliest location in neighbouring Laois (red boxes). If one examines where the Gaelic Irish Bowe, Carroll, Dooley and Flanagan farmers are recorded in the early 1900’s they concentrate in County Laois and bordering areas like Kilkenny (see Laois map). That area is where my paternal Bowe ancestors originated. In fact my paternal ancestral genetic homeland or rather the area where my direct male ancestor lived when he first inherited the Bowe surname (orange broken circle) was first identified by me in 2010. 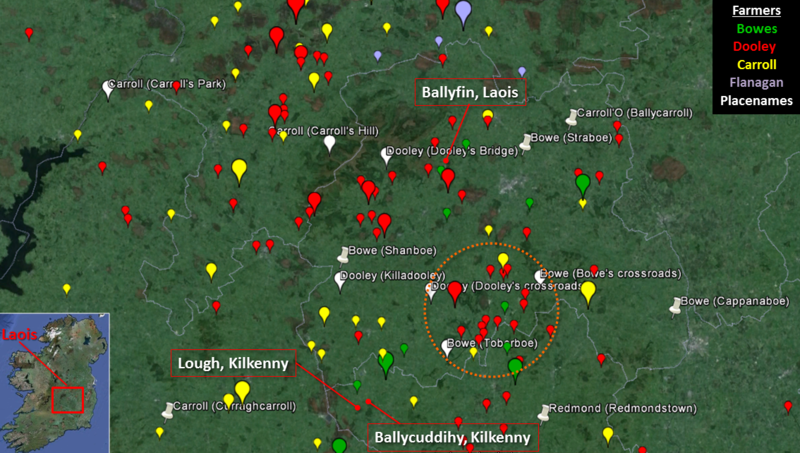 The Bowes with links to Kilkenny and Laois (red boxes) were later recruited and tested and conclusively confirmed my ancestral connection to this area. While my DNA confirms the connection, the surnames of the farming communities and the local placenames within Laois reflect my long ancestral links with this area. 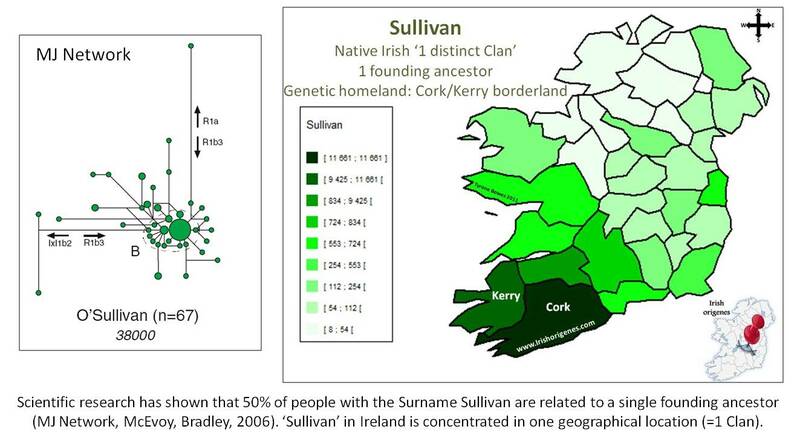 The surnames revealed in my YDNA results literally arose among related males living in County Laois! 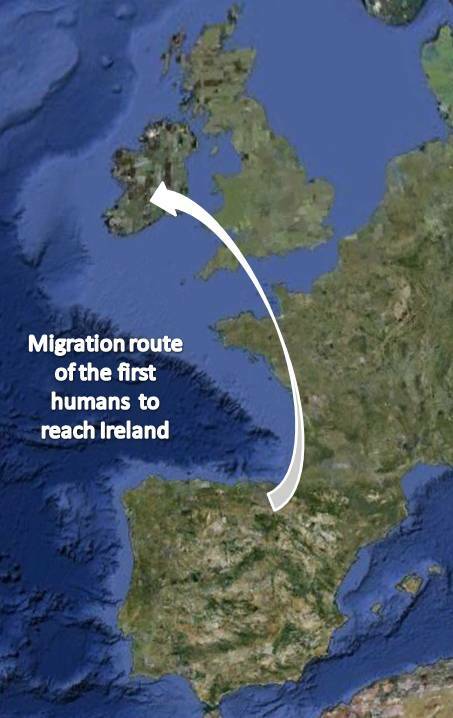 The timeframe that I have produced allows me to at last estimate when my Bowe ancestor left this area (my Bowes genealogical papertail hits a wall in 1840’s Dublin). Since my closest Bowe genetic match still lives near my genetic homeland and shares 64 of 67 genetic markers, I can assume that my ancestor was living in County Laois until at least 1600AD. My Gaelic Irish ‘O’Boe’ ancestors would have lived through the turbulent destruction of their Gaelic Irish world. A destruction which saw the decline of their Irish language and the Anglicisation of all the Gaelic Irish surnames associated with Laois, including O’Boe which over time and distance evolved into Bowe and then ultimately Bowes. What will your DNA reveal? Click here to contact Irish Origenes for a FREE CONSULTATION on your DNA results or to find out what DNA test is suitable for you!